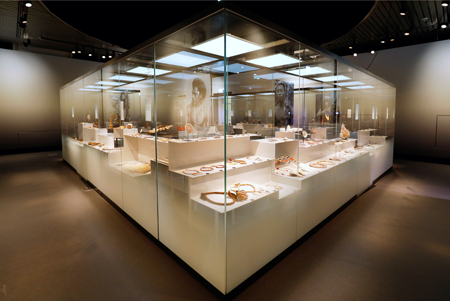 Almost 1000 items of jewelry by designers from all over the world guarantee a feast for the eye, as well as plenty of surprises and no small measure of wonder. 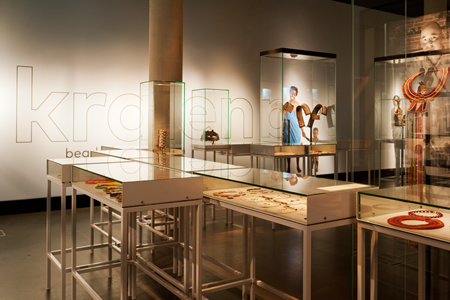 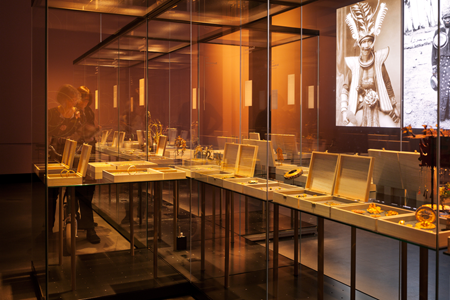 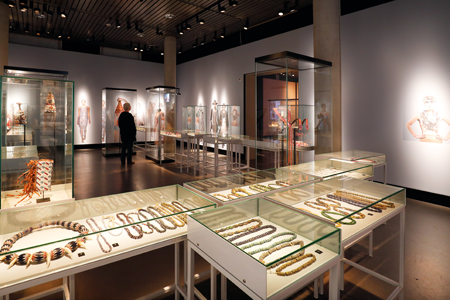 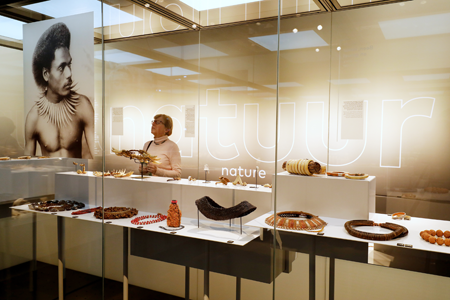 With this exhibition, Museum Volkenkunde – the Netherlands’ national museum of ethnography – presents the largest collection of jewelry ever to be displayed in a Dutch museum. 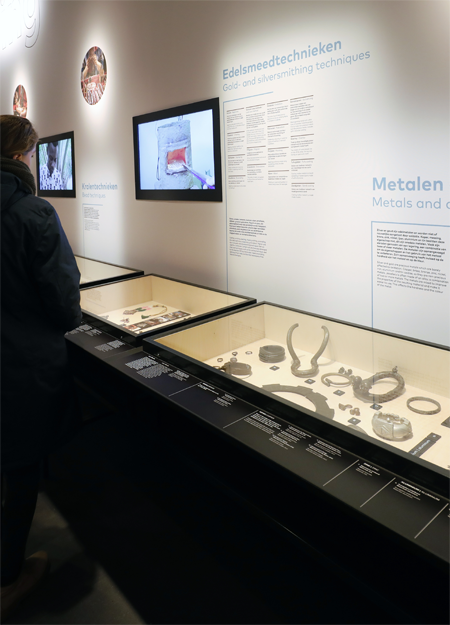 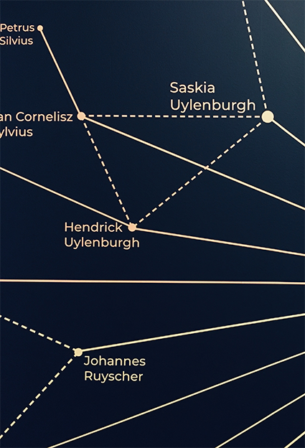 As well as exploring how people around the world adorn themselves, the exhibition will also zoom in on the makers, the techniques they use, and the extraordinary stories of some of those who wear the jewelry. 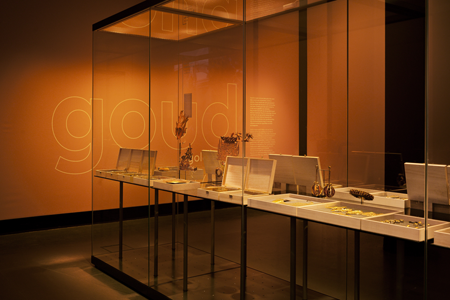 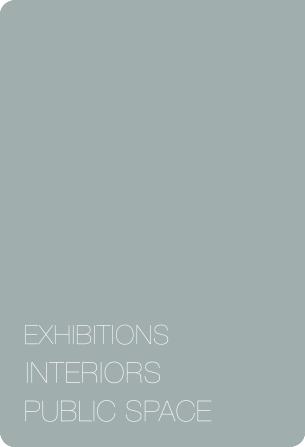 In collaboration with Lies WIllers and Jos Stoopman, Studio OTW worked on the design of showcases and displays for the exhibition. 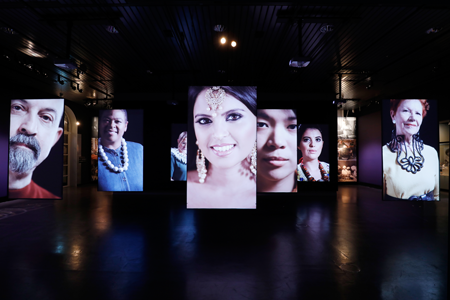 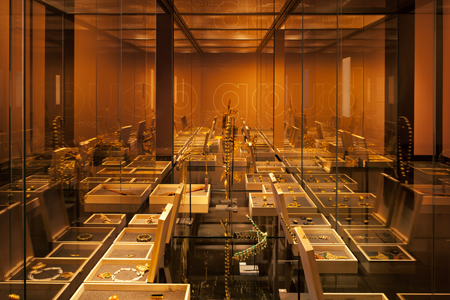 Video installation featuring the makers and the lovers of jewellery introduces the exhibition. 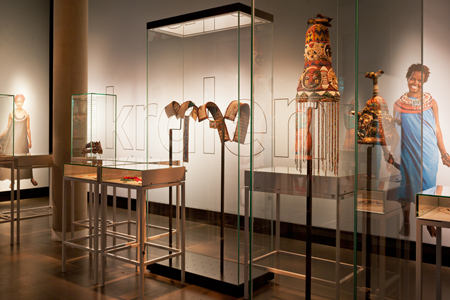 Main exhibits are organised by material and technique before focusing on the use and other cultural meaning of each of the objects.